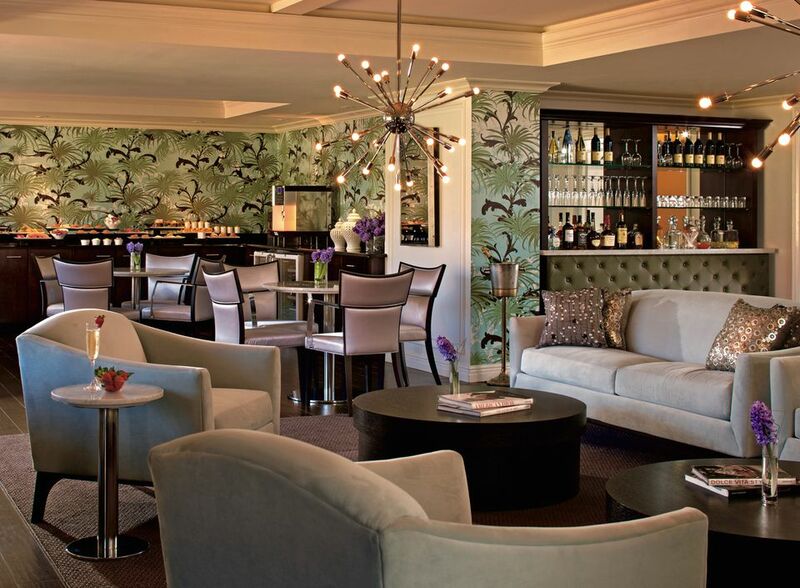 Hotel Club Floors and VIP Executive Lounges: Worth the Upgrade? Some loyal guests of luxury hotels are upgraded to the hotel club floor (or club level) on a complimentary basis. But ordinarily, you pay more to get a club-floor room and to enjoy the considerable perks in its lounge. What club-level guests value most, and spend their money upgrading for, is the multitude of perks and freebies in the club floor's lounge. The club-level room itself will be a little better, often with an improved view, free wifi and water, and enhanced amenities like a fruit basket, higher-end toiletries, and better music player, coffeemaker, and turndown chocolates. Some hotels will offer club-level unpacking and packing services and/or a gift such as a logo polo shirt or bottle of wine. In large hotels, club floors may have their own (and fancier) gyms. But the club lounge, basically an all-day buffet with a happy hour and cushy seating, is by far the central perk of club-floor status. Will the upgrade be worth it to you? The answer is probably yes if: the surcharge for club level is minor; if you intend to do a lot of your eating and drinking in the lounge, or you simply like hanging out at your hotel; you're traveling with kids (many lounges have children's areas and diversions); you're traveling solo and wouldn't mind some social interaction. The answer is probably no, a club-floor upgrade won't be worth it if: you expect to be out and about for most of your stay; you'll be entertained and fed by clients or relatives; you'd rather dine and drink outside the hotel; you're staying at an all-inclusive hotel where all-day food and drink is already covered. Club-level rooms are available several ways. You might get comped if you're a: frequent guest of the hotel or brand; client of an elite travel agency; holder of a top-echelon credit card; a hospitality-industry professional; as a solution to a problem you had with check-in or your assigned room. Most club-level guests have not been comped, and have paid for the club-level upgrade. The upcharge on their bill is typically 20 to 30% more than the regular room rate. Some guests get the upgrade by cashing in frequent-guest points. The best perk of Club Rooms is the Club Lounge, which is very like a dignified members-only clubroom. The lounge will have long hours, a receptionist, quiet nooks and social areas, food and drinks, and extra guest services. Club lounges are known for their all-day "food presentions." In fact, some hotel guests upgrade to the club floor so they can eat breakfast and lunch (and a light dinner and/or dessert) in the lounge. No matter the hotel, club guests can expect morning-till-night food offerings. Typically there's a lavish breakfast buffet with custom omelets and smoked salmon platters. Then the lounge offers snacks and desserts throughout the day. Plus you can get unlimited high-end coffee (and lattes), tea, hot chocolate, soda, and other soft drinks. The Club Lounge will have a cocktail hour that often lasts several hours, and some lounges pour wine and Champagne all day. Lounges at pet-friendly hotels supply pet treats, and at kid-friendly hotels, the lounge is full of sweet treats. Many club floors send a guest off on checkout day with gets a boxed meal to go. And there are plenty of non-edible perks in club lounges. These often include private concierge service; business-center services like mobile recharging, super-fast wifi, computer use, printing, photocopying, private meeting rooms; kids' lounges; gigantic TV screens with premium sporting events; DVD and book libraries, newspapers, magazines, games, cards; shoeshine, dry-cleaning, pressing. Want to snag a Club-floor room? It's better to get your club-floor upgrade before you check in. Why? These premium accommodations are in demand and often sell out before other rooms. To clinch your hotel club room: join and maintain hotel frequent-guest programs and consider using an elite travel agent such as from the Virtuoso network. If you make your own reservation, speak to a front-desk staffer and not an operator. However, if the hotel guarantees that its best room rate is online, book there and then call the hotel to discuss an upgrade. All this being said, you can play the odds and wait until you check in to request a club-floor upgrade. If the club floor is not fully booked, you may be able to negotiate a lower charge for the upgrade. Eau Palm Beach, Florida; The Ritz-Carlton, Fort Lauderdale, Florida; Hotel48 Lex, New York City; The Langham, Chicago; The Ritz-Carlton, Bachelor Gulch, Colorado; The Ritz-Carlton, Kapalua, Maui, Hawaii; Live Aqua Cancun, Mexico; Fiesta Americana Grand Coral Beach Resort, Cancun; Renaissance Sao Paulo, Brazil; Regent Taipei, Taiwan.